Priceless picture from Tom Hanks. 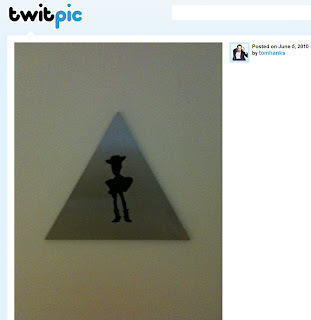 Caption: "The Mens Room at Pixar. Woody, not Buzz. Hanx"
There's no one quite like Woody! Thanks, Restroom Trailers.